It is easy to get depressed about a lack of leadership in America today. However, there are still impactful, caring and successful leaders out there working to make our nation a better place. One of the true heroes is Governor Jack Markell of Delaware. He is a tireless public servant who has shown incredible leadership as an ally of the disability community. He has worked hard to expand opportunities for more people with disabilities to pursue the American Dream -- and it's working! Governor Markell was elected in 2008 with 67% of the vote and re-elected in 2012 with 69% of the vote. He is term-limited and thus, sadly, will complete his time as Governor in January 2017. During his tenure, Delaware has gone "from one of the lowest-ranking states (in terms of job creation) in 2008 and 2009 to one of the top-ranking in 2013 and 2014. Delaware holds the distinction of being the only state anywhere along the Eastern seaboard to be in the top 10." Most important of all, Markell has succeeded in starting a movement for a more inclusive and successful economy for the one-in-five Americans who has a disability. In an era where the haves and have nots have increasingly become divided, he has helped create a rising tide for all ships -especially for the 22 million working age Americans who have a disability, only one-in-three of whom currently have a job. In 2012, Markell became chair of the National Governors Association (NGA). As the chair of the NGA, he chose as the critical issue of increasing employment among individuals with disabilities. As he wrote at the time, "The bottom line is that there are so many people with disabilities who have the time, talent and desire to make meaningful contributions to interested employers." The results of the NGA's Better Bottom Line initiative can be seen across the country. As a result of Markell's leadership, not only has Delaware made progress, diverse states such as Wisconsin and Pennsylvania have also made investments in school to work transition programs for young people with intellectual and development disabilities. Other states like Mississippi and Arkansas have adopted Employment First policies. Above all, he has helped to develop a body of knowledge that is truly moving the needle on jobs for people with disabilities. That work continues now with Governor Markell having been selected as the President for the Council of State Governments (CSG) in January 2016. 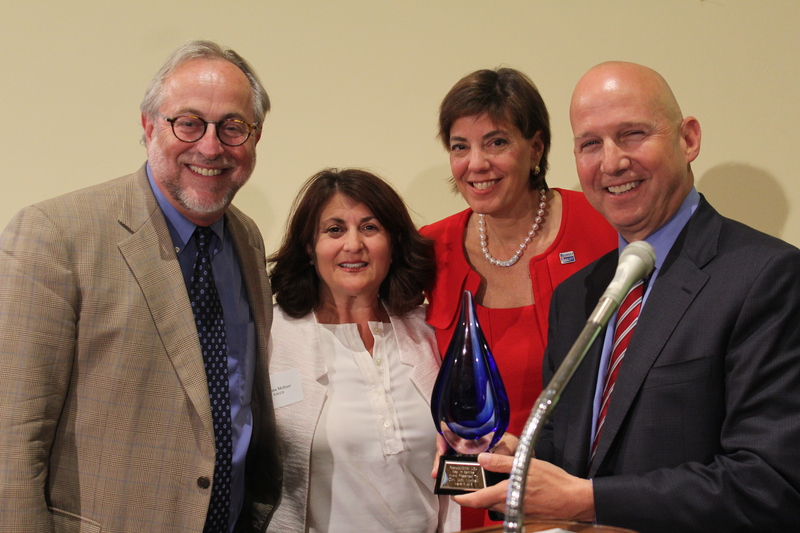 At CSG, he is overseeing a new National Task Force on Workforce Development for People with Disabilities This effort will continue to build on Markell's legacy as a true champion and faithful ally of the disability community. Many politicians talk the talk. Markell is different - he walks the walk. For decades, there was no improvement in the labor force participation rates among people with disabilities. When you look at census data, you see that only 1 in 3 working age Americans with disabilities have a job now, and frankly, that was the case 26 years ago before the Americans with Disabilities Act was passed. There was a lot of progress on many fronts for people with disabilities. However, even as women, African Americans and Hispanics have entered the workforce in increasing numbers, the gap in the labor force participation rates between people with and without disabilities expanded. That is until year. For the first time in decades, we are seeing improvement in the employment data for people with disabilities. A huge part of that is because of Gov. Markell. As he recently pointed out: "the fact is so many people with disabilities across the country can add extraordinary value and when we focus on the ability rather than the disability, it's amazing what we can accomplish together." Markell often tells the story of his visit with then Walgreens CEO, Greg Wasson, who had invited the CEO's of many large companies to listen to what Walgreens was doing in the area for employment for people with disabilities. Said Markell, "what Greg said to these other CEOs is that Walgreens employs people with disabilities not as a matter of charity. We do it because it's in the best interest of our shareholders. Because these employees are incredibly hardworking, they're so grateful to have their job, they're less likely to be absent, the turnover is lower and they do a phenomenal job." Markell went on to explain, "the key cannot be about government officials asking an employer to do a favor. It's about employers talking to other employers about why their company is better thanks to the fact that they provide these employment opportunities." RespectAbility board members Doc Sweitzer, Donna Meltzer and Jennifer Laszlo Mizrahi present award to Gov. Jack Markell. Markell also wanted to be sure to take real action. "I also knew that we as governments had to step up, we had to walk the walk. It's not enough for me to go out and talk about this as an important issue. We need to talk about the fact that we as governments are providing these opportunities to people with disabilities and we are better off as a result. We've also found one of the most important things we can do is do a better job for young people. We have to make sure that when it comes to our young people who are still in school with disabilities prepare them for a lifetime for an expectation of a lifetime of employment." Gov. Markell has surrounded himself with state leaders such as Sec. Rita Landgraf who are also walking the walk. Together, they are revamped their talent acquisition process and as a result they were able to hire more talented people with disabilities. Every day they work to ensure that their constituents in Delaware are serve by a state government staff composed of a talented and inclusive team. In an era where voters are frustrated with many of our leaders, it is wonderful to know that people like Gov. Jack Markell exist. Recently RespectAbility gave Gov. Markell a much deserved award. You can see his full speech on CSPAN. Many people would like to see him in a senior role in the Cabinet of the next Administration. 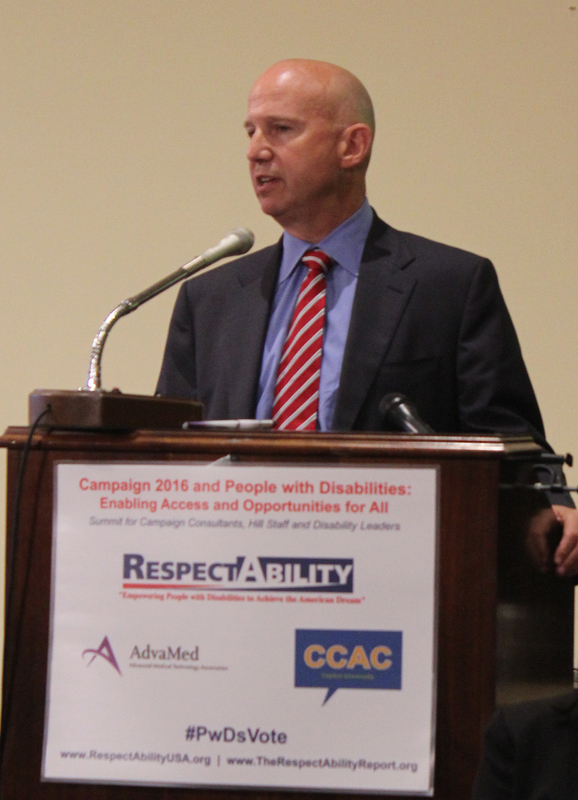 Whether he stays in public service or goes back into the private sector, the disability community has no greater friend than Jack Markell.